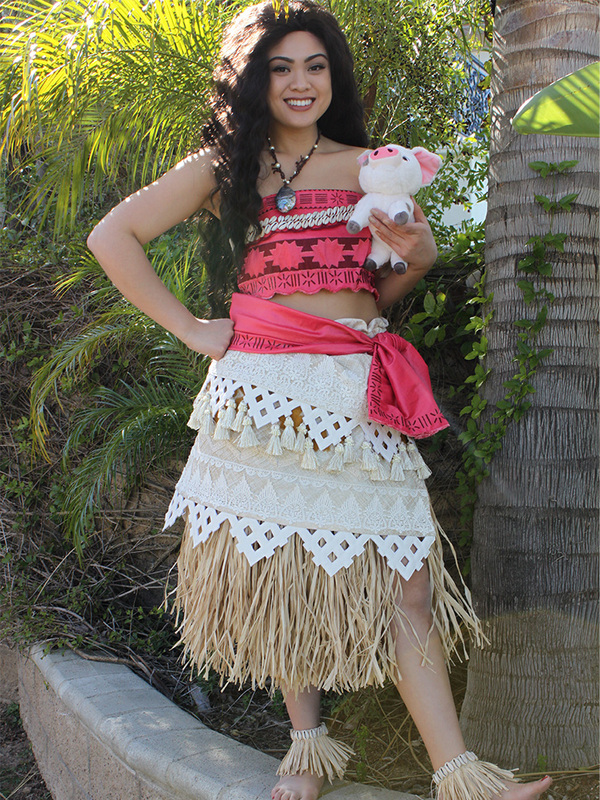 Introducing our newest addition to our character lineup, our fierce and feisty Polynesian princess, Moana! Moana arrives at your party in an authentic grass skirt and beautifully embroidered costume, looking like she just washed up onshore out of the movie! Moana will recount the thrilling adventure of how she saved her island from destruction with the help of her friend, the tattooed demigod Maui, and she will take your breath away as she sings about her dreams of traveling the sea. Both boys and girls will laugh at the antics of her not so bright rooster Hei-Hei, and thrill at the story of her fearlessly returning the heart of the ocean to an active volcano monster. Moana is the perfect choice for a Hawaiian themed luau party. What can we say except, “You’re Welcome”?